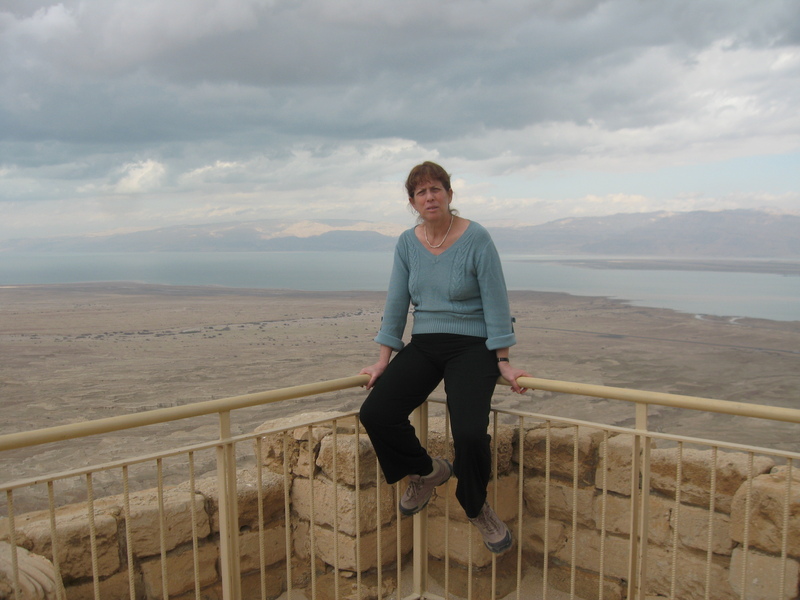 Prof. Esther Eshel is a professor in the Bible Department, Bar-Ilan University, also teaches in the Martin (Szusz) Department of Land of Israel Studies and Archaeology at Bar Ilan University. She is the director of the Jeselsohn Epigraphic Center of Jewish History at Bar-Ilan University. Epigraphy of the First and Second Temple periods. Jonas C. Greenfield, Michael E. Stone and Esther Eshel, The Aramaic Levi Document (Studia in Veteris Testamenti Pseudepigrapha, 19). Leiden 2004. [281 pages]. E. Eshel and A. Kloner, “An Aramaic Ostracon of an Edomite Marriage Contract from Maresha, Dated 176 B.C.E.”, IEJ 46 (1996), pp. 1-22. 2. Kloner, E. Eshel, H. Korzakova and G. Finkielsztejn, Maresha III: Epigraphic Finds from the 1989-2000 Seasons (IAA Reports, No. 45). Jerusalem 2010. [440 pages]. E. Eshel, “The Genesis Apocryphon and Other Related Aramaic Texts from Qumran: The Birth of Noah”, in K. Berthelot and D. Stökl Ben Ezra (eds. ), Aramaica Qumranica: Proceedings of the Conference on the Aramaic Texts from Qumran in Aix-en-Provence, 30 June- 2 July 2008 (STDJ 94). Leiden and Boston 2010, pp. 277-294. E. Eshel, “Chapter 2: Inscriptions in Hebrew, Aramaic, and Phoenician Script”, in A. Kloner, E. Eshel, H. Korzakova and G. Finkielsztejn, Maresha III: Epigraphic Finds from the 1989-2000 Seasons (IAA Reports, No. 45). Jerusalem 2010, pp. 35-88; 227-236. 5. Eshel, “The Genesis Apocryphon: A Chain of Traditins”, in A.D. Roitman, L.H. Schiffman and S. Tzoref (eds. ), The Dead Sea Scrolls and Contemporary Culture Proceedings of the International Conference held at the Israel Museum, Jerusalem (July 6-8, 2008) (STDJ 93), Leiden and Boston 2011, pp. 181-193. E. Eshel, “Aramaic Texts from Qumran in Light of New Epigraphic Finds”, in A. Lange, E. Tov, and M. Weigold (eds. ), The Dead Sea Scrolls in Context: Integrating the Dead Sea Scrolls in the Study of Ancient Texts, Languages, and Cultures. Leiden 2011, pp. 177-197. E. Eshel and Michael E. Stone, “Judaism in Palestine in the Hellenistic-Roman Periods”, in W. Adler (ed. ), The Cambridge History of Religions in the Ancient World, Volume 2. Cambridge, UK, 2013, pp. 87-115. Esther Eshel, “Chapter 14: Hebrew and Aramaic Inscriptions from Jericho and Cypros”, in R. Bar-Nathan and J. Gärtner (eds. ), Hasmonean and Herodian Palaces at Jericho: Final Report of 1973-1987 Excavations, Vol. V: Finds from Jericho and Cypros. Jerusalem 2013, pp. 299-304. E. Eshel, “Paleography of the Semitic Judean Desert Scrolls”, in J.A. Hackett and W.E. Aufrect (eds. ), “An Eye for Form”: Epigraphic Essays in Honor of Frank Moore Cross (Winona Lake, Indiana, 2014), pp. 334-351. E. Eshel, “Chapter 8: Iron Age, Phoenician and Aramaic Inscriptions”, in I. stern (ed. ), The Excavations of Maresha Subterranean Complex 57: The ‘Heliodorus’ Cave (the BAR International Series 2652), Oxford 2014, pp. 77-94.
. E. Eshel, ” Chapter 14: The Hebrew and Aramaic Inscriptions from the Area of the Tomb at Herodium” in R. Porat, R. Chachy, and Y. Kalman, Herodium: Final Reports of the 1972–2010 Excavations Directed by Ehud Netzer, Volume I, Herod’s Tomb Precinct. Jerusalem 2015, pp. 460-473.